If you own a Bed and breakfast or an Inn, you know how important the character of your establishment can be. We can help you to fashion the perfect compliment for your front desk, a personalized leather guest book! Your book can be crafted to capture the character and spirit of your establishment to enhance your visitors experience. We begin by choosing a leather finish that most appropriately conveys the personality that you would like to have associated with your business. We can inlay your logo or name on the front cover, and create custom guest book pages with headers to retrieve the information that you want from your guests. Your art may be lightly watermarked behind the lines to give an extra personal touch. Photo pages may also be integated into the book. 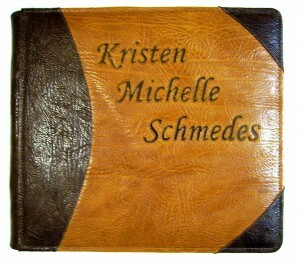 Please feel free to contact us to discuss how we may craft a personalized leather guest book for you. If you've ever searched for leather photo albums, or leather photo portfolios for a specific project, you're probably aware of how difficult it can be to find just the right style. Theme photo albums are usually very generic, and the quality is generally low. If you need something special for a family photo album, professional photo album, hunting or safari album, vacation album, or a very clean professional photography portfolio, we can build you exactly what you are seeking. 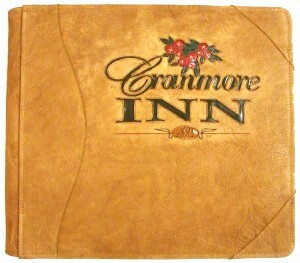 Custom and personalized leather photo albums are our specialty. Please feel free to contact us to discuss your particular needs, and we will build you an album to accommodate them.